Digital signage LCD and LED displays are increasingly replacing the conventional advertising surface for printed materials. This means that each point with commercial display should have digital signage media player installed. Dekart digital presents stand-alone digital signage players and network-managed signage players with CMS software. Advertising media players can play standard quality media, Full HD, and Ultra HD 4K video files. 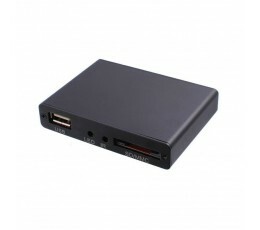 Standalone digital signage player show video from portable USB or SD flash drive. 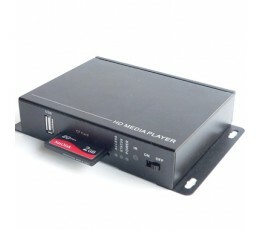 There is also Digital Signage media players with remote management - via the Internet or local area network. 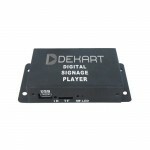 Digital signage media player by "Dekart Digital" is high reliability and low price solution for 24/7 operation. ADPlayer and DSplayer series are used in a wide range of digital signage systems - from Public Information Displays (PID) and Promotional Displays in stores, to Kisoks, Totems, and Promotional displays in Transport - buses, trains and subway. 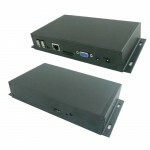 Key features of the digital signage advertising player are: auto start displaying advertisements when the power is connected, high dust resistance, no coolers and other moving parts inside player prevent from mechanical breaks, low power consumption, minimum heat emission, can work 24/7 365 days a year. Professional advertising player ADPLAYER-110 can be effectively used for marketing and promotional purposes. 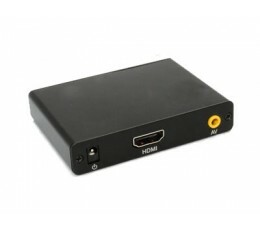 You may connect this digital signage player for commercial video and audio to any monitor, TV, or advertising display with AV or HDMI input. It will show promotional video with sound in automatic mode. 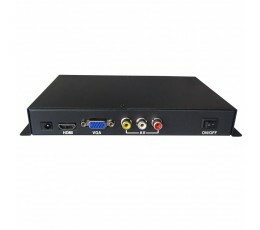 ADPLAYER-110 ad player box is specially designed for promotional and information systems,..
ADPLAYER-110HD is the Full HD digital signage player for commercial use and automatic videos and pictures demonstration on advertising monitors, electronic menus, and displays. It is also used in video racks for displaying video ads on the monitors in the transport. Special skills are not required. This model is cheap HD digital signage player for advertising on TV at shopping malls, travel agenci..
Use ADPLAYER-111HD universal advertising player for Digital Signage is simple and convenient. It supports all popular video formats up to Full HD (AVI, MPG, MKV), audio (WAV, MP3, FLAC), graphics (GIF,JPG,PNG). It does not require additional device to mount it – just connect advertising player, advertising screen, computer monitor, or TV with VGA, AV, or HDMI, and turn on the electricity. ADPLAYER..
Special digital signage media player for advertising in transport and public places ADPLAYER-210HD made in a metal housing in black or grey. Connects to monitors, TVs, and displays for digital signage ads. It have wide operating range of temperatures for winter and summer usage, and a metal door with lock for safety of removable flash memory. 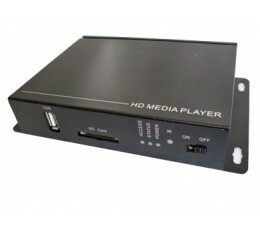 Advertising media player supports all modern graphics a..
DSPLAYER-001 Network media player for Digital Signage combines a set of hardware and software solutions in the field of media intended for advertising and informational materials on remote monitors and projectors. Feel free to update video, graphics, settings, advertising players and playlists over the Internet. This conventional advertising player system supports almost all common formats of vide..
DSPLAYER-101AHD High definition Android network advertising player for Digital Signage designed for use in advertising and information systems with Full HD video, JPG PNG graphics, SMIL, HTML5 and split the screen into zones (multi-zone). It is applicable in most Digital Signage systems for advertising and information, and often replace conventional advertising player without a network interface. 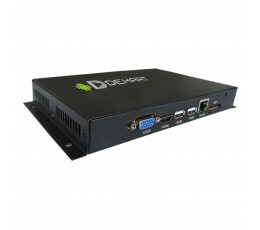 ..
Network digital signage player DSPLAYER-003HD is a local device for playback of promotional and informational materials, working as part of a network of several such joint advertising players, geographically spaced at any distance. Network players show the image on the TV, advertising displays, information monitors and screens on the columns of shops, in subways, in conference rooms, around tables..